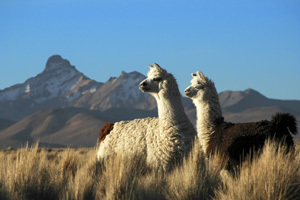 If you want to learn Spanish in Latin America, Bolivia is an excellent choice. Bolivia, known as the "Tibet of the Americas", is the highest and most isolated of South American Andean nations, with its snow-capped peaks reaching 21,000 feet. Its incredible landscapes, archaeological sites, colonial architecture and indigenous people make Bolivia an incredible travel destination. Lake Titicaca, with its crystal blue waters, reed boats and indigenous Aymara people should not be missed. The beautiful university city of Sucre has a sizeable indigenous population, whitewashed colonial buildings and frequent Indian markets where produce is sold by barter. Our school in Sucre is located in a colonial-style building, just one block from the main square. There are 8 classrooms, a video salon, patio and terrace. Our school offers Spanish courses for all levels, with host family accommodation. 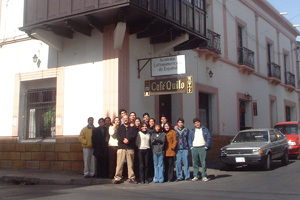 Studying Spanish in Bolivia is a unique experience, as the country is still largely undiscovered by international tourism. The Spanish language courses at our school in Sucre run mainly in the morning, with a wide range of optional activities and excursions offered in the afternoon and at the weekend. As well as Spanish courses, our school in Sucre also organises volunteer work for students. Fly to Sucre Airport. Collection service included in the course price.